The following is an excerpt from an interview with Ashley Ver Burg Soukup, who was named one of the University of Minnesota’s (Carlson School of Management) 2018 Best MBAs. The interview appeared in the university’s Poets & Quants publication. 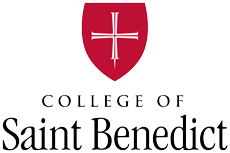 Soukup graduated from Saint Ben’s in 2010 with majors in environmental studies and French. What achievement are you most proud of in your professional career? Government and innovation aren’t two words people from the business world often associate together, but my experience is quite different. Just as new product development in business has moved to lean, agile, consumer-first models that go beyond making design decisions in a boardroom, the same evolution is happening in government. While working as an urban planning consultant, I was a champion for design processes that creatively engaged citizen input, which led me to become a national resource on innovative ways to reach people. I am most proud of my work on a project with the state of Minnesota planning the next 20 years of $20 billion in highway investments. As the consultant team project manager, I collaborated with an incredibly dedicated and brilliant group of leaders to transform the way decisions are made. In six months, we spoke to over 12,000 people, leveraging a dynamic dataset to adapt our online and in-person tactics to reach a diverse representation of perspectives. This work has been recognized with five state and national awards, including a Government Innovation Award. What are the top two items on your bucket list? Solve the problem of America’s poor paid parental leave system and learn to ski. In one sentence, how would you like your peers to remember you? She created communities, teams, and relationships that were inclusive and enabled each person to shine.